Springtime is here and what a great time to visit Pesche’s in Des Plaines for all your gardening needs!! 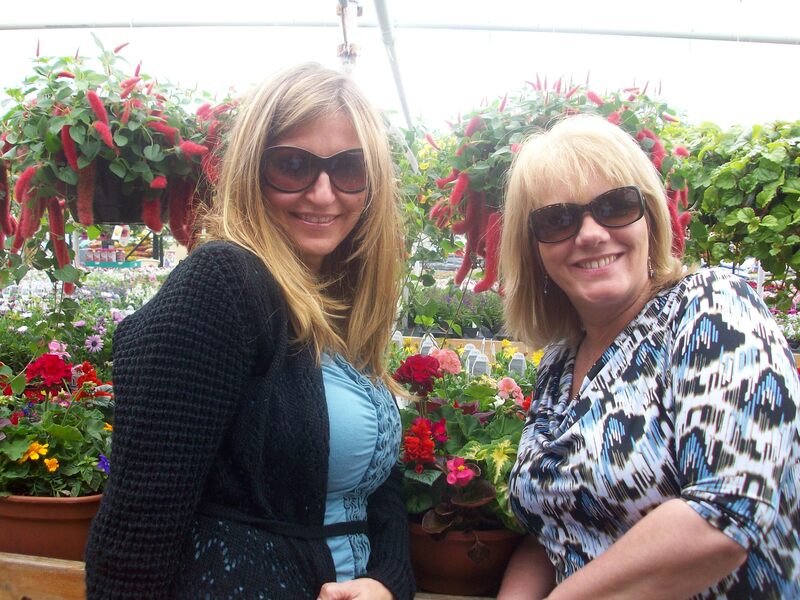 We took a little tour of Pesche’s Garden Center with Catherine, buyer and merchandiser of the 7 acre property and what a talented lady she is!! Chris Pesche, third generation owner, Dr. Dave and Clark, manager, all took some time to chat with us, as well. You can spend hours in this place! There is a large walk–in Fresh Flower Cooler that is stocked with the most beautiful and unique flowers around. Their representatives venture out twice a year to purchase the newest and most unique items for your home and gift-giving ideas. If you are looking for an exotic potted plant such as a horse, a monkey or a frog, step into their Tropical Conservatory! For those interested in organically grown products, Pesche’s has a wide variety of vegetables they grow themselves. In July, they start setting up for their exquisite Christmas theme, which we will be sure to visit again! A family-owned business for three generations, Pesche’s has been part of the Chicagoland community since 1923, when Fred Pesche moved with his wife and 11 children to Des Plaines. Fred purchased and developed a 5–acre site which is still in use today. Originally, he specialized in carnations, growing cut flowers for florists and wholesale markets in downtown Chicago. 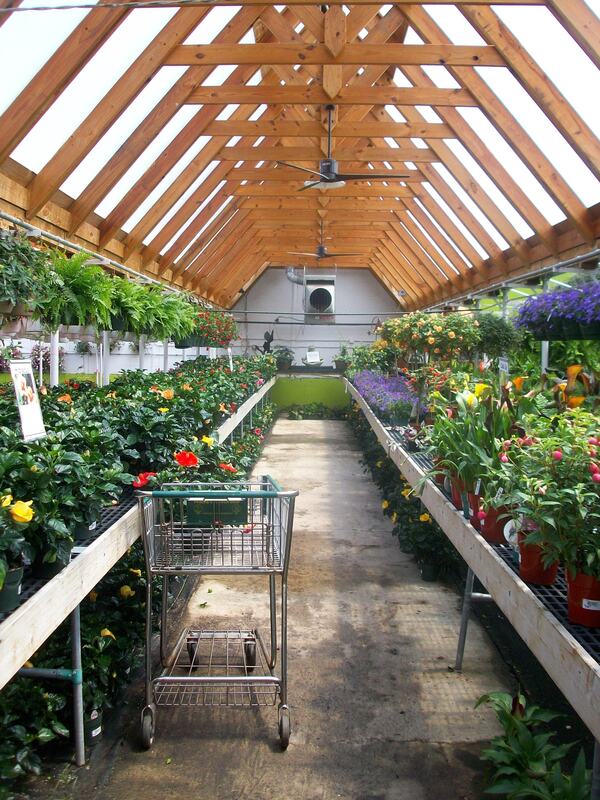 In 1941, Fred expanded the business by adding a retail conservatory next to the carnation houses. During World War II, Pesche’s Flowers became an employer for prisoners held at Camp Pine, a German POW camp just outside of Des Plaines. German prisoners have returned to Pesche’s since the war, recalling their employment picking and delivering carnations. Following the war, Des Plaines began to change from a farming center to one of the leading industrial, commercial, and residential centers in the northwest suburbs. An enterprising and practical man, Fred expanded the greenhouses in 1948 to include a supermarket, which remained an active part of the business for 30 years. Following in his father’s footsteps, Frank Pesche took over the family business in 1955. Continued growth has led to the purchase of an adjacent acre and the opening of a nursery division. Today, Chris Pesche, Frank’s son, runs the business, and both Frank and Chris can be found on the grounds almost everyday. If you’re currently a Lexington Park homeowner or thinking of becoming one, a visit to Pesche’s will show you what three generations of experience and can provide: attentive service, expert advice, and uncompromising quality. Stop on by for a wonderful experience!